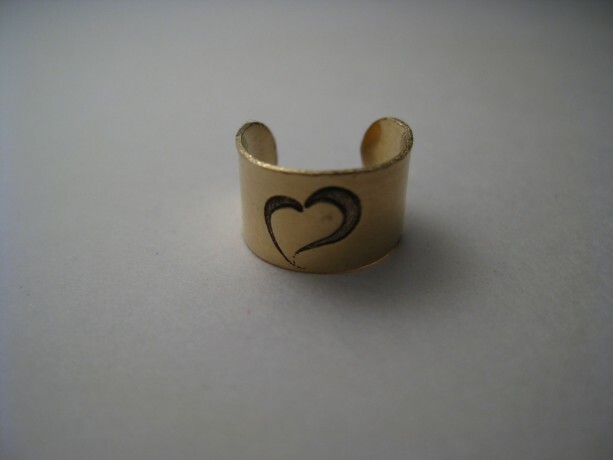 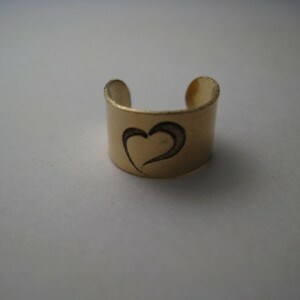 I handcrafted, shaped and printed a heart in this pretty 10K gold ear cuff. 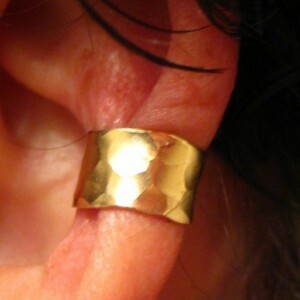 Ear cuff is 3/8". 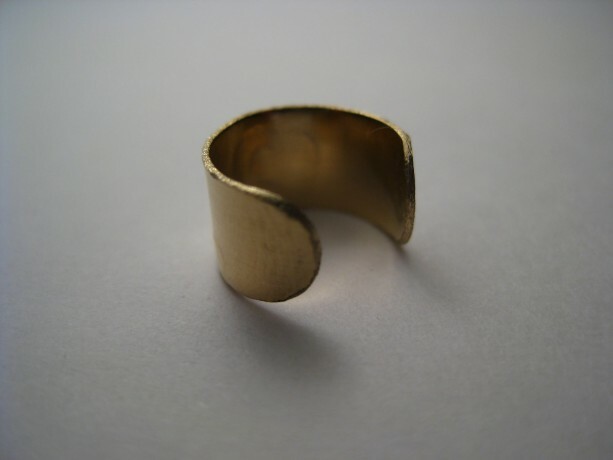 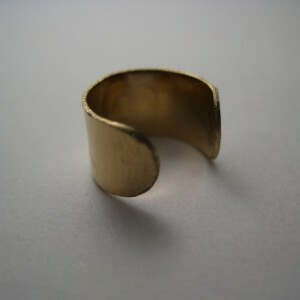 Metal is bendable, you have to open it and play with it, tight to snug to cartilage. 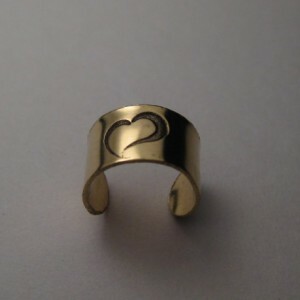 Ask me about custom or personalized items. 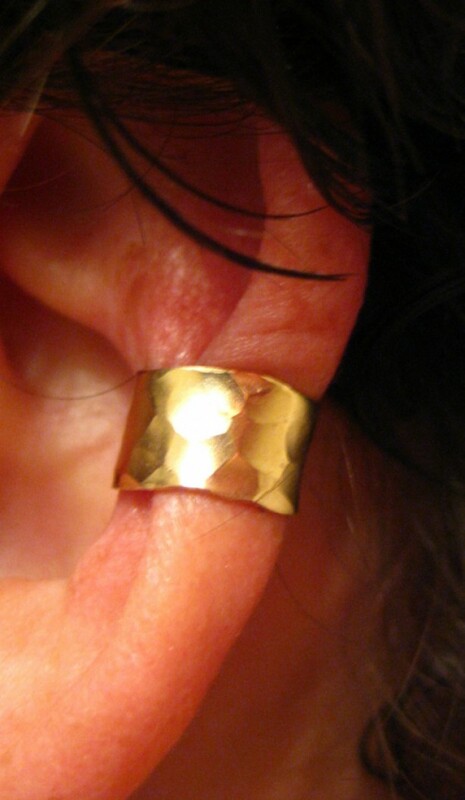 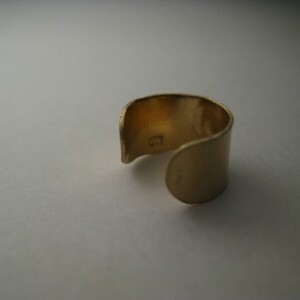 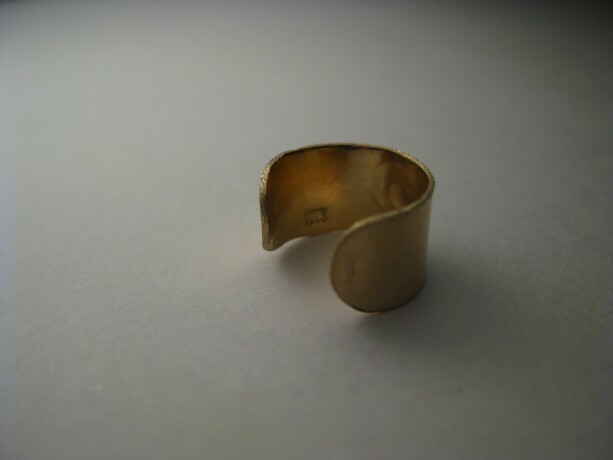 This is a gold filled ear cuff. 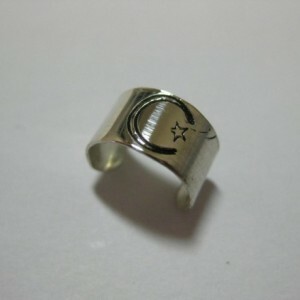 I purchase my metals from Rio Grande, reputable Company doing business since 1944. 10K gold stamped.